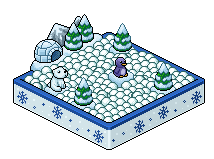 Although the Infected Laboratory campaign is currently live, Habbo staff is already working on preparations for the Christmas campaign taking place in December. Keep reading for getting all the details! 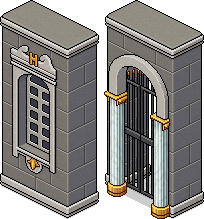 Today, the Habbo's designers shared all the furni that will be available during December. Among them we can find thirteen tradeable clothing items, two rares and one LTD . We show them all below! 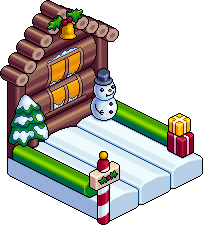 In addition to providing the images we just showed you, Habbo also clarified that there will be a set of 25 games with badges and gifts, as well as an Advent Calendar you will have to open every day in order to receive credit, duckets, memberships or Furni. This Christmas, we are organizing 25 mini games with 25 collectible badges. There will also be SOME additional prizes for people who are good at solving riddles! In addition to this, each Habbo will be able to open a daily Christmas calendar. What do you think about this Christmas campaign furni design? And what about the advent calendar comeback? Comment your opinion with us and keep visiting Habbo-Happy.